Alcoutim is a hidden treasure in the Algarve. This interesting river town is set among beautiful green hills. Here you will find the perfect combination of history, nature and tranquility. In only a 30 minute drive from the famous coastal area of the Algarve, you will find yourself in this picture perfect region. Especially during spring this is a must see town to explore, as the wild nature is in full bloom. After reading this article, you will be the tour guide when visiting Alcoutim. Would you like to quickly see the highlights of Alcoutim? Then watch the short video below and get ready to pack your bags. Cantarinha do Guadiana. This authentic Portuguese restaurant is very popular with locals. 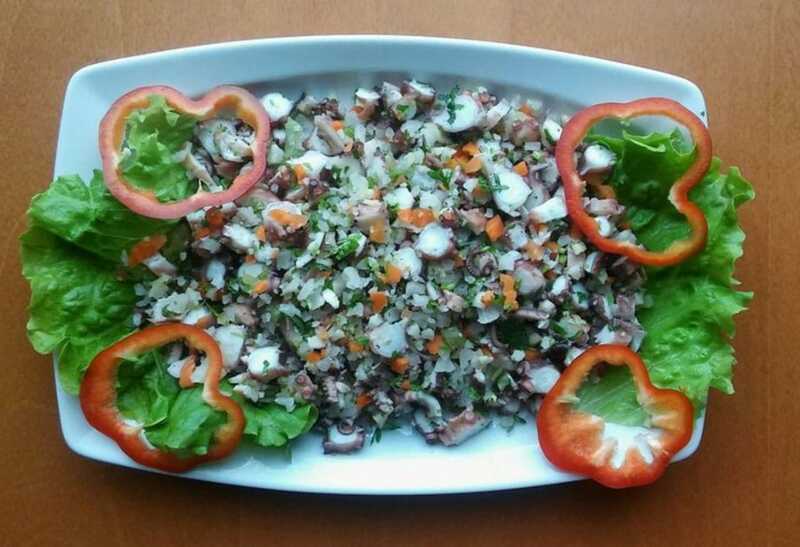 It serves delicious food that is from the Alcoutim region. The restaurant is not very big, so it might be wise to make a reservation in advance. Restaurante O Rio. This restaurant serves great local food in big portions. They also have an outside terrace. Prices are very reasonable. Their house wine from the region is delicious. Shiva Indian Restaurant. This Indian restaurant has good food. The service is also fine. Prices are a bit higher than in some of the Portuguese restaurants nearby, so you will not find many locals here. However, the food makes up for it. Hotel D’Alcoutim. This three star hotel is the most popular place to stay in Alcoutim. It has a garden with a swimming pool, overlooking the Guadiana river. Rooms are comfortable and breakfast is excellent. Friendly staff. HI Alcoutim – Pousada de Juventude. This youth hostel is a great place to meet other travellers. The hotel is relatively cheap. There are shared dormitories, as well as private rooms. After the busy summer season of last year, we recommend to book your hotel now, as it will probably sell out. Below you can find a map with the location of hotels in Alcoutim. By changing the date of your holiday, the map will show you the current prices. Alcoutim has preserved the traditional Algarvian lifestyle. The people are simple and very kind. There is a quiet and friendly atmosphere. Walking through Alcoutim with its small streets feels like going back in time. The architecture is almost the same as it was a century ago. There are narrow streets, surrounded by small white houses. You can experience the original way of life here. The food in Alcoutim is mostly fresh fish from the river (like lamprey or fish stew Caldeirada), smoked ham and sausages. Still nowadays, Alcoutim is economically completely dependent on agriculture and handicraft. Pottery, blankets and rugs in Alcoutim. Black-smith’s works and puppets in Martim Longo. Woolen blankets and linen towels in Santa Justa and Tacões. The environment near Alcoutim is very beautiful. It is quite green and well watered. The area around Alcoutim looks quite different from the south coast of the Algarve, yet is only a 30 minutes drive away. This attracts tourists with an interest in nature. There are several hiking trails nearby. Walking through the nature here is very peaceful and relaxing. You will be able to spot many pretty flowers and trees in the area. 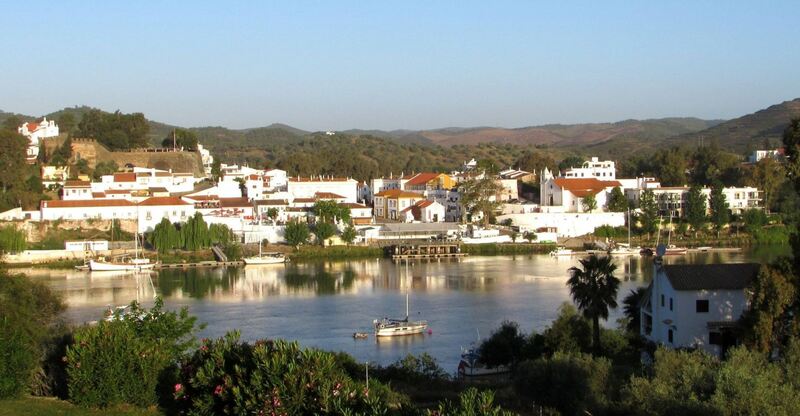 Alcoutim is located on the Portuguese side of the Guadiana river, which separates Portugal from Spain. On the other side of the river you can see the Spanish town of Sanlúcar de Guadiana. The current here can be quite strong, so it is recommended to avoid swimming here. If you want to swim, go to Praia Fluvial do Pego Fundo. 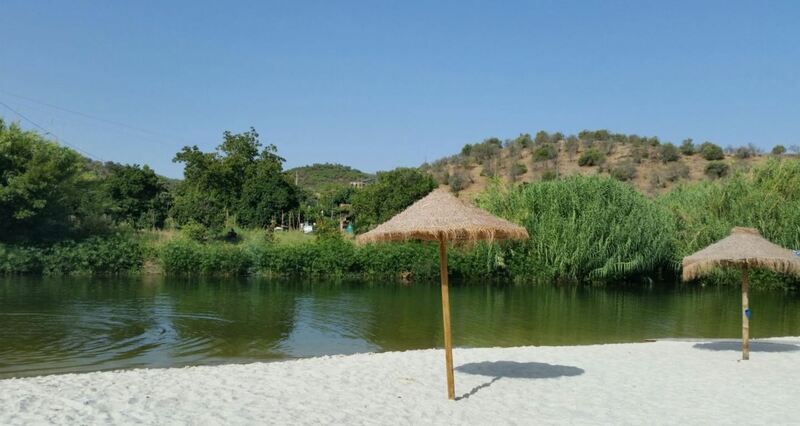 There is a beach near the Guadiana river, north west of Alcoutim. The beach is called Praia Fluvial do Pego Fundo. 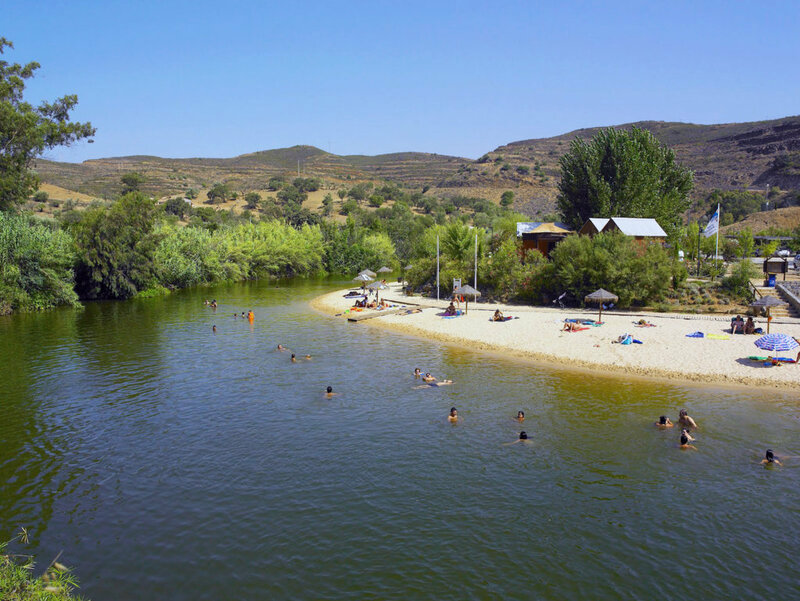 Here it is safe to swim in the Guadiana river. The water is very clean and refreshing. The beach is very different from the beaches in the south of the Algarve, but that is what makes it so unique. Praia Fluvial do Pego Fundo is popular with locals, but still relatively calm. There is a beach bar called Tá-se Bem Beach Club. The beach bar serves food and drinks and has toilet and shower facilities. They even have a parasol if you need one. You can visit the Castle of Alcoutim. This Moorish castle was built in the 14th century, in order to defend the border. It was in this castle that the Portuguese King Ferdinand I signed a peace treaty with King Henry II of Castille in the 14th century to end the war between Portugal and Spain. The castle was built on a hill. As such, you have a spectacular view from the castle over the surrounding area. It is very nice to walk along the castle walls and imagine what life was like back in the medieval days. The castle is well maintained. On the Spanish side of the river, there is a similar castle in Sanlúcar de Guadiana. In the Middle Ages, cannon balls from the two castles were being shot at one another regularly. 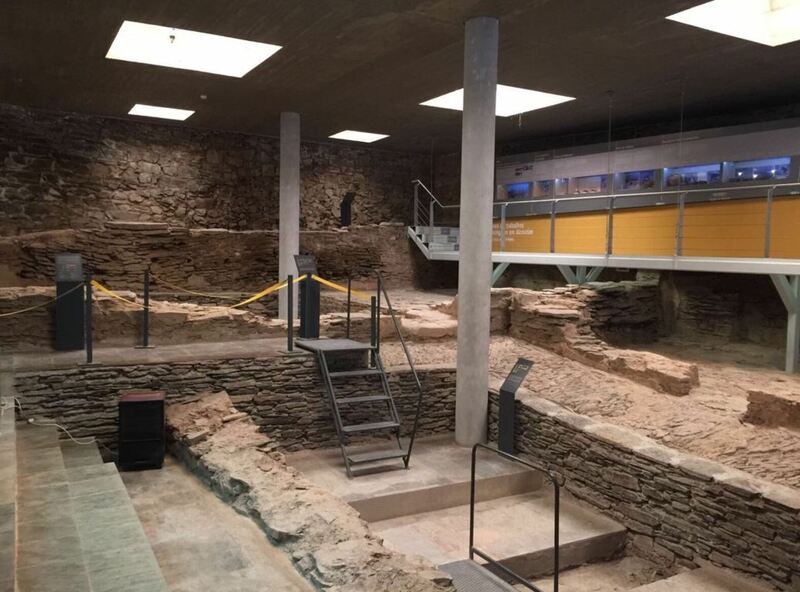 Within the castle, you will find a small archaeological museum. The museum outlines the violent history of Alcoutim and displays some archaeological artifacts that were found. If you are interested in history, this is a very interesting place to visit. 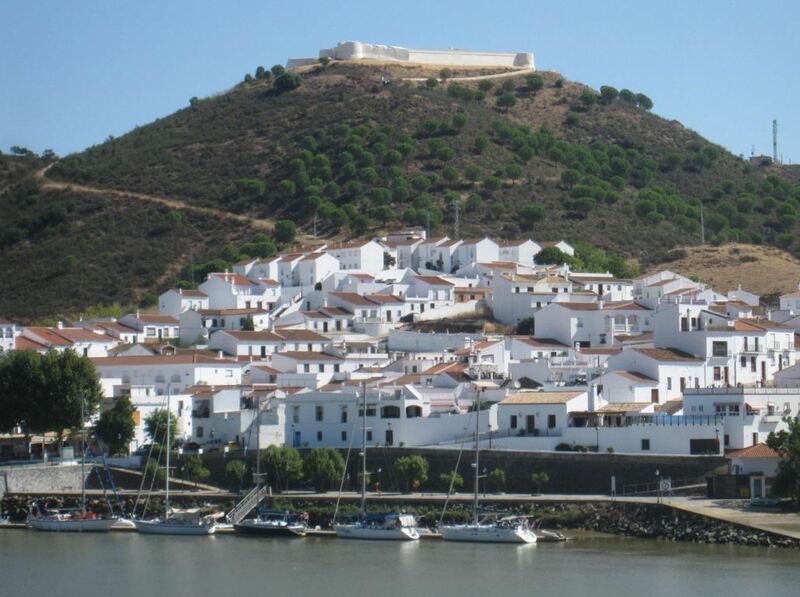 There is a ferry service that can take you across the Guadiana river to visit the Spanish town of Sanlúcar de Guadiana. The best thing to do there is to visit the castle of Sanlúcar, also known as Castillo de San Marcos. It is located on top of the hill, above the town. 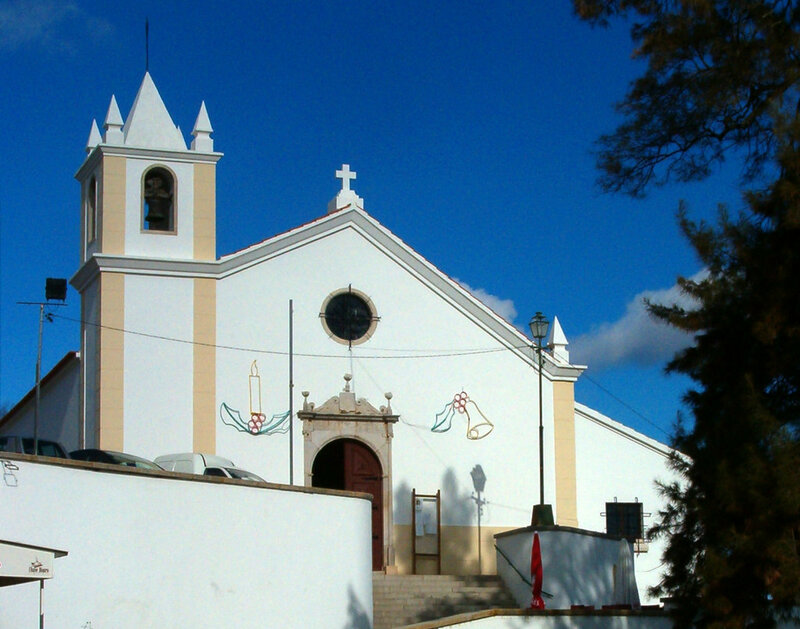 In the municipality of Alcoutim, you can find a beautiful church, known as Ermida de Nossa Senhora da Conceição. The church was initially built in the beginning of the 16th century. It was rebuilt later in the 17th century, but the original doorway remained. The church was dedicated to Nossa Senhora da Conceição. This is Portugal’s Patroness since the time of the Restoration war (17th century). It was believed that success in the independence war was achieved on her behalf. Inside the church, you can find an altar piece of gilt carved wood from the 18th century. Above the altar you can see the coat of arms of King João IV. This church is worth a visit. There is another church in Alcoutim, called Igreja Matriz de Alcoutim (also known as Igreja Matriz do Salvador de Alcoutim). It was built in the 14th century. The church is one of the best examples of Renaissance architecture in the Algarve. 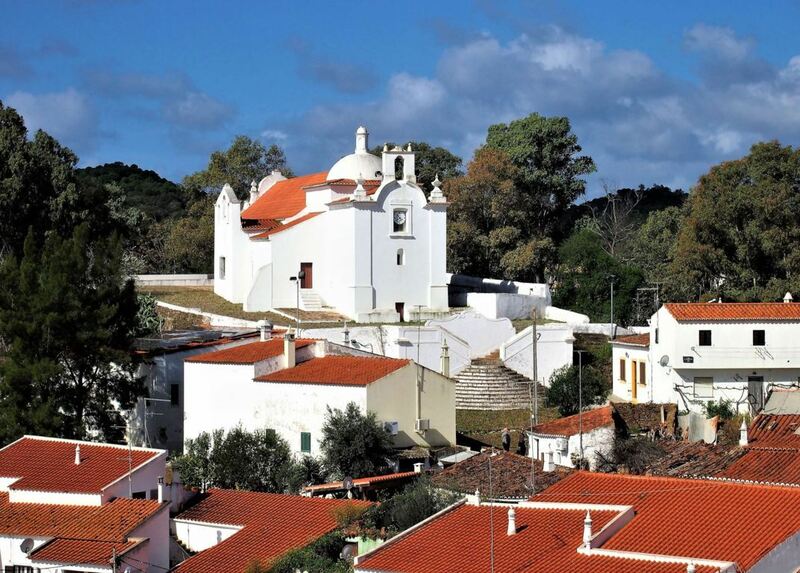 Alcoutim is a small town in the Algarve, with only around 3000 inhabitants. The town has the lowest population density in Portugal, with only 8 inhabitants per km2. On the north, it borders the Portuguese province of Alentejo. The town has a rich history, full of wars with its Spanish rival city across the Guadiana river, Sanlúcar de Guadiana. Nowadays, the towns get along well, and there is a frequent ferry service back and forth. 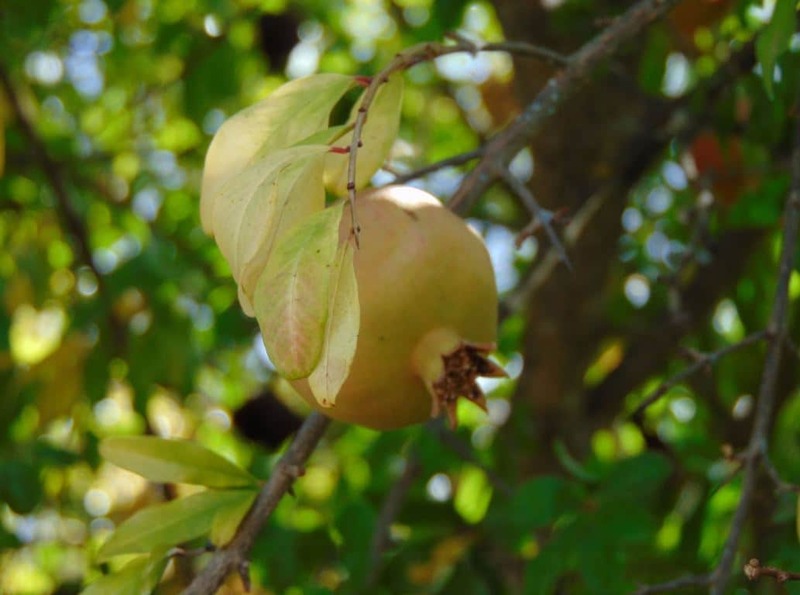 There are many beautiful things to see in the interior of the Algarve. Alcoutim is just one of the several towns that are worth a visit. Also, there are several activities that can make your time in Alcoutim even more enjoyable. 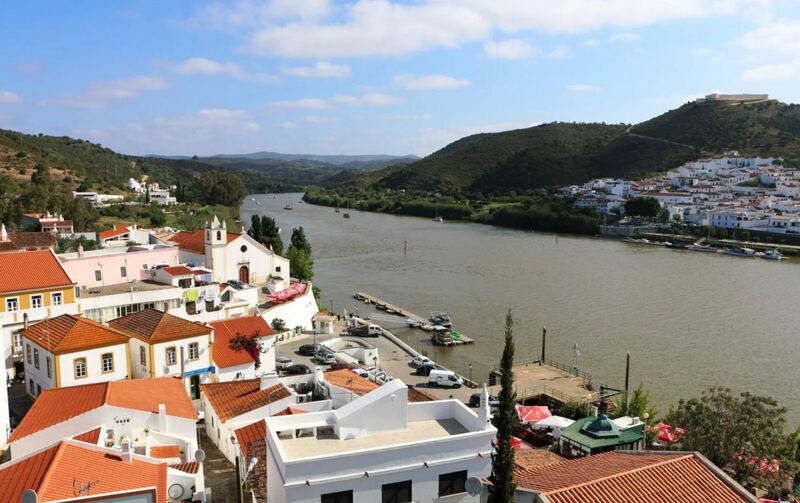 For example, you could rent a boat in Alcoutim, so you can explore the peacefulness of the Guadiana river on your own. 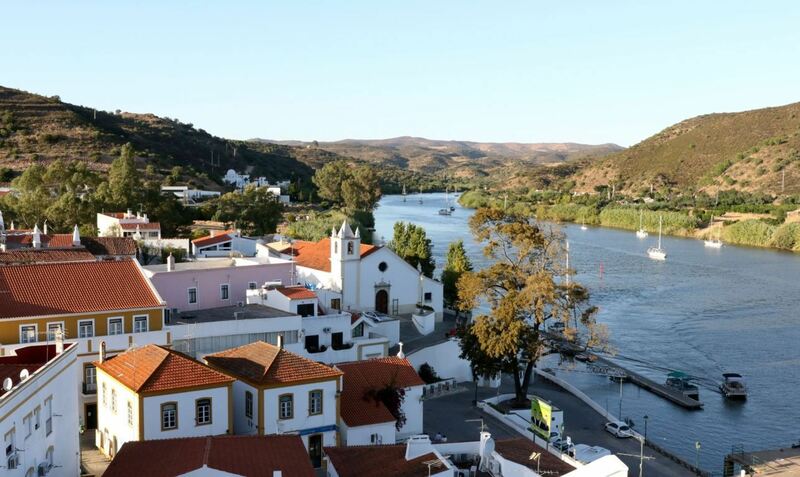 If you don’t feel like renting a boat yourself, there are boat cruises to Mértola (upstream) and Odeleite (downstream). There are several excursions that you can already book online. Below you can find our favourite excursions in the area of Alcoutim. If you would like to have an adventurous, but peaceful day, we suggest that you do the following tour: Tavira – Cachopo – Martim Longo – Vaqueiros – Giões – Pereiro – Santa Marta – Cortes Pereiras – Alcoutim – Guerreiros do Rio – Foz de Odeleite – Castro Marim. This is a full day tour to enjoy the original beauty of the countryside and to discover the unspoiled Algarve, the traditional way of life and the kindness of the simple people. Beautiful landscapes and typical white washed architecture. It is the Algarve that tourists usually don’t see. 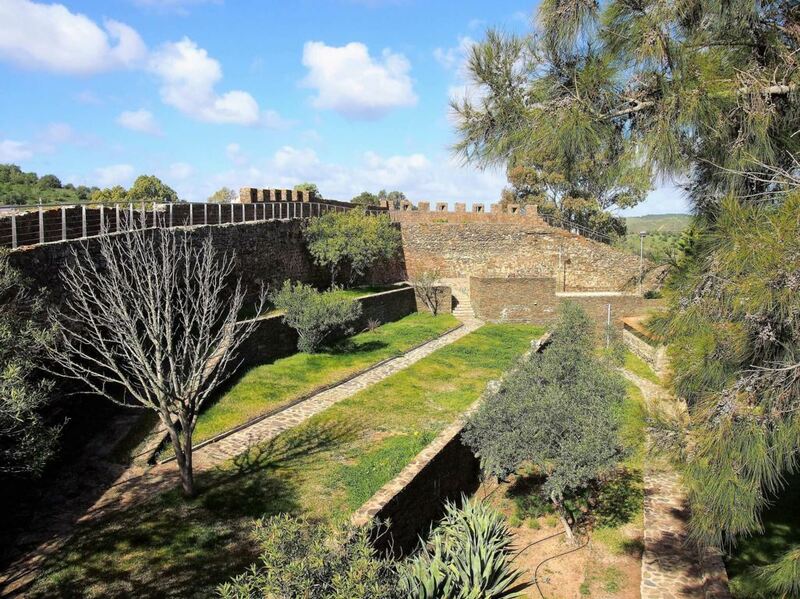 If you want to discover the southeastern part of Portugal and are interested in history and monuments, we recommend you the following tour: Castro Marim – Alcoutim – Mértola. It is probably one of the most interesting tours you can make in southern Portugal. You can visit castles, churches, ruins, archaeological excavations, as well as beautiful old villages. 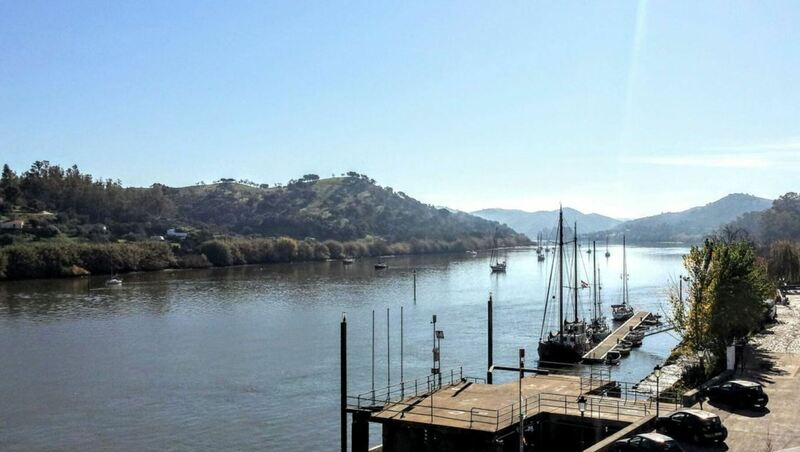 Enjoy the beauty of the Guadiana river and the mountain ranges. 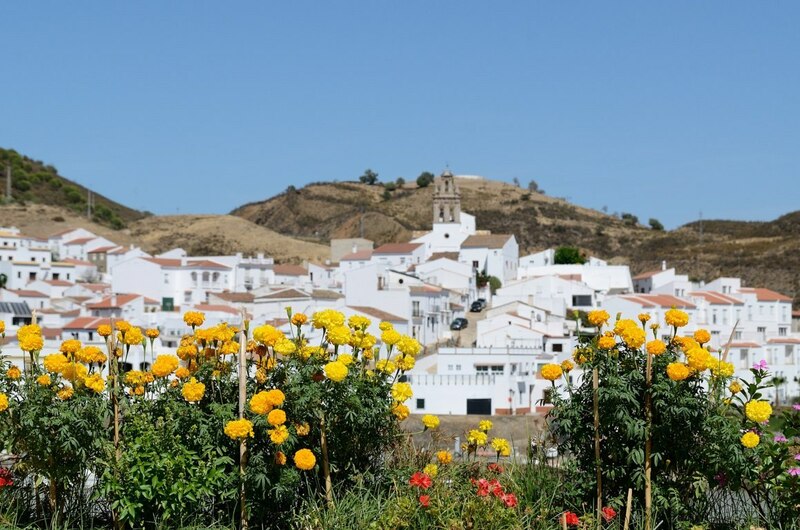 Alcoutim is located near the border with Spain and is about 1 hour drive from Faro Airport and a 30 minute drive from the beaches in the South. Traveling to and around Alcoutim is best by car. The roads around the town are good. There is no train station in the town.